In 1999, Arnold became the first woman to head a global business unit at P&G. In an unexpected way, she gives some of the credit for that to her two children, now 11 and 14. "Having children made me set priorities," Arnold says. "Leaders who don't set priorities can burn out their organizations." 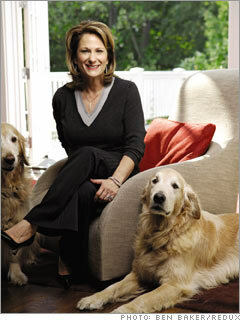 Hounded by headhunters, Arnold, 53, has turned away countless corporate suitors, though she did join the Disney board. Will she lead P&G someday? "I live in the moment," she says. "I love what do. I Don't have to worry about tomorrow."